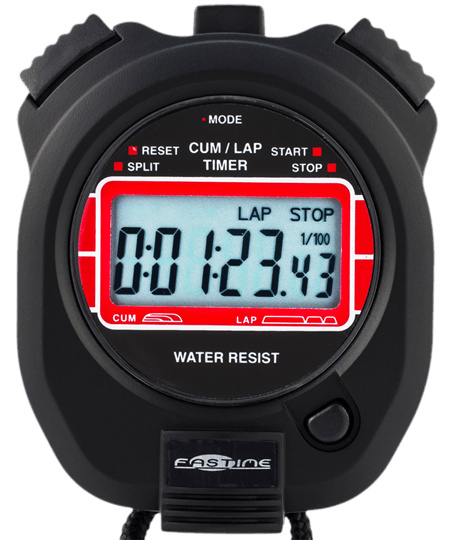 Professional quality cumulative or lap split time stopwatch. Lap timing Classic Road Racing races. Good, sensibly priced stopwatch. We use them in our swimming club. Times up 23hr 59m 59sec. Times to 100/th second. With START, STOP, RESUME (TIME OUT) or RESET with the option to take CUMULATIVE OR LAP SPLIT TIMES. ONE / TWO FAST FINISH. It has a rugged water resistant and shock resistant case anfd has a 1 year warranty. Silent (no beep) operation. 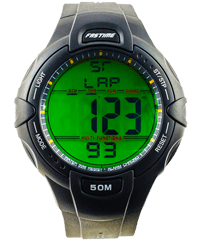 Ideal for circuit racing of any kind including Karting, Bike racing, Track and Field events. Suitable for professional use. 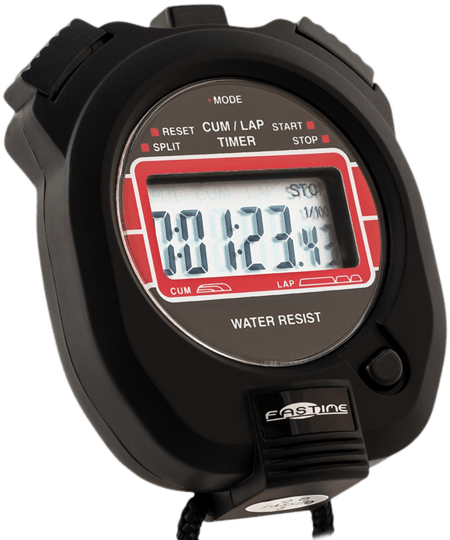 Have two of these watches which I use for timing track sessions and races, they are perfectly adequate for everyday athletics/running training/racing. Using the lap mode enables you to time an effort and the rest interval using one watch, by pressing the lap button, not the stop button.